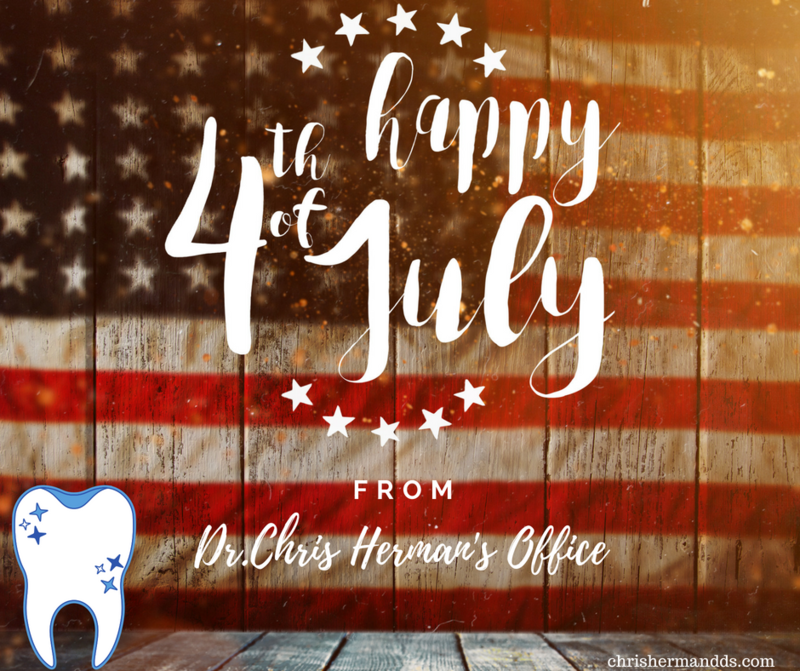 Cosmetic & Family Oceanside Dentist | Chris M. Herman D.D.S. ~Toothbrush: Manual or electronic. For manual toothbrushes, the maximum life is about 3 months. Pick a SOFT angled Bristle toothbrush when picking the right manual toothbrush. The soft and angled bristled will help remove more plaque, while being gentle on your gums. Hard and Medium bristles can be too rough on tooth enamel and hurt your gums. 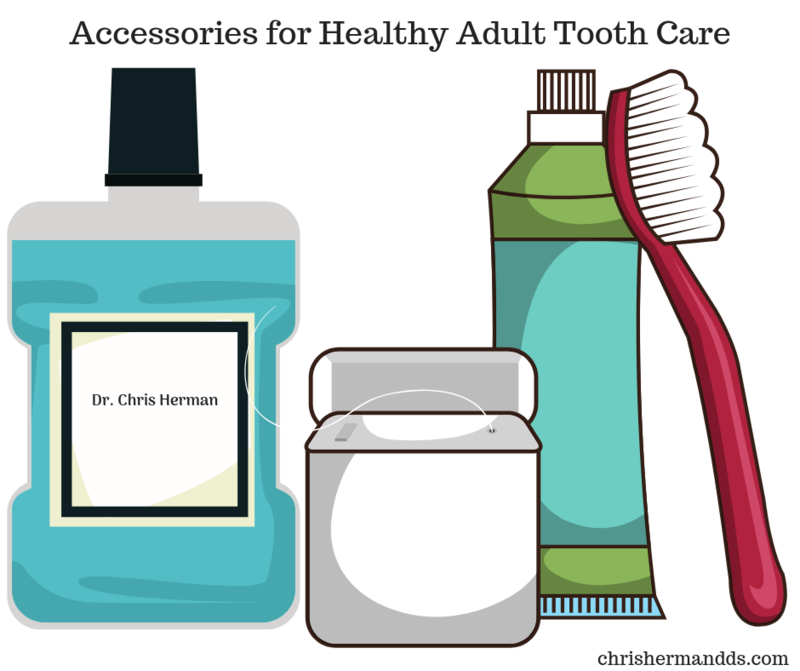 Electric toothbrushes may be more effective and easier to use than manual toothbrushes. ~Mouthwash: Helps with bad breath, fight plaque and fight gingivitis. Mouthwash with fluoride helps strengthen enamel and fight against cavities. ~Toothpaste: Use regular toothpaste. Trendy toothpaste is too rough on teeth, while natural toothpaste doesn’t do a great job of removing plaque. ~Dental Floss: Best type of floss to use is thick regular floss. It grabs more plaque off the walls of teeth. Plastic individual flossers and water floss work too, but not as effective as regular thick floss. *Best Brushing Technique: Use up and down strokes while holding your brush in a vertical angle. Brush your gums back and forth using short and gentle strokes. Brushing your teeth and tongue twice a day helps fight plaque and minimize bacteria. *Tooth Whitening: Reduce stains and whiten teeth by using dental care product that contains hydrogen peroxide, use teeth whitening strips, baking soda or see your dentist for test bleaching trays. 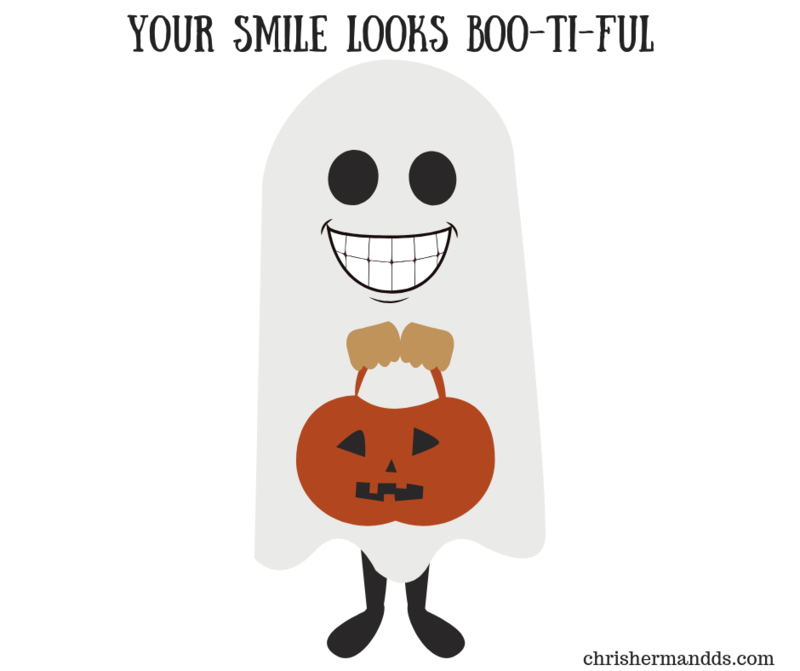 Keep that smile looking Boo-ti-ful. Don’t forget to brush and floss tonight. 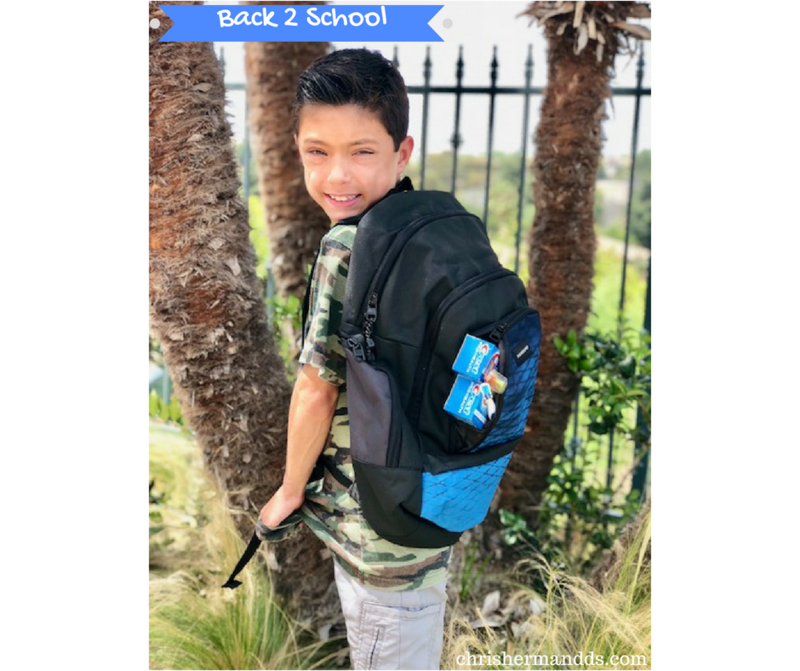 Did you know that dental exams and check ups are just as important as doctor checkups in preparation for Back To School? Some schools require families to get a dental exam and have a dental form filled out as a part of the new school year registration process. Students with dental pain and/or decay can experience difficulty eating, playing, learning, speaking and could lead to missing valuable school time. Brush teeth before school and before bed everyday. Floss between teeth after brushing. Change tooth brush every 3 months and after an illness. Use a toothbrush with soft bristles and avoid brushing teeth too aggressively. Avoid sugary drinks and food. Try items such as vegetables, fruits, nuts, whole grain pretzels, yogurt, smoothie, cheese, or a granola bar. Many school cafeterias provide healthy food choices. By making sure your child gets regular dental exams and cleanings, you can keep your child’s teeth free of decay and minimize time out of school for emergency dental appointments. Many people enjoy popcorn as a light delicious snack. Some even find popcorn a healthier choice than candy, chips and other processed snacks. There is a rise in dental injuries resulting from popcorn kernels and popcorn husks. Popcorn husks are the thin shell that surrounds the kernel that tends to stick in between teeth and trapped beneath the gum line. Biting into an unpopped kernel can break or fracture your teeth while leaving popcorn husk or remnants of popcorn between your teeth can cause infection and or decay. How can you enjoy popcorn while preserving your teeth? –Careful when chewing. Chew casually especially when eating popcorn toward the bottom of the bag. -Rinse after eating. Rinsing your teeth with water or salt water may help dislodge any stuck popcorn particles. –Brush and floss. 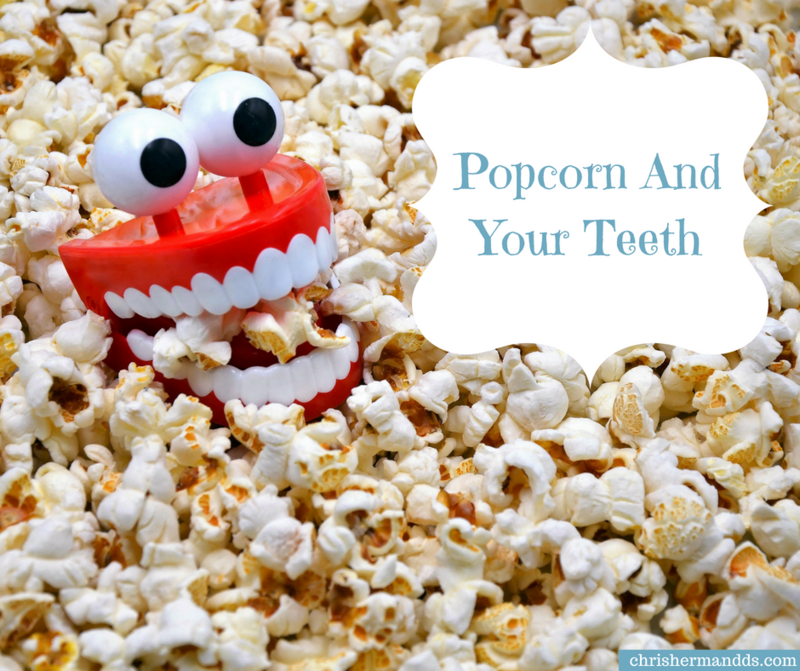 Brushing and flossing can help dislodge popcorn stuck beneath the gums or between your teeth. 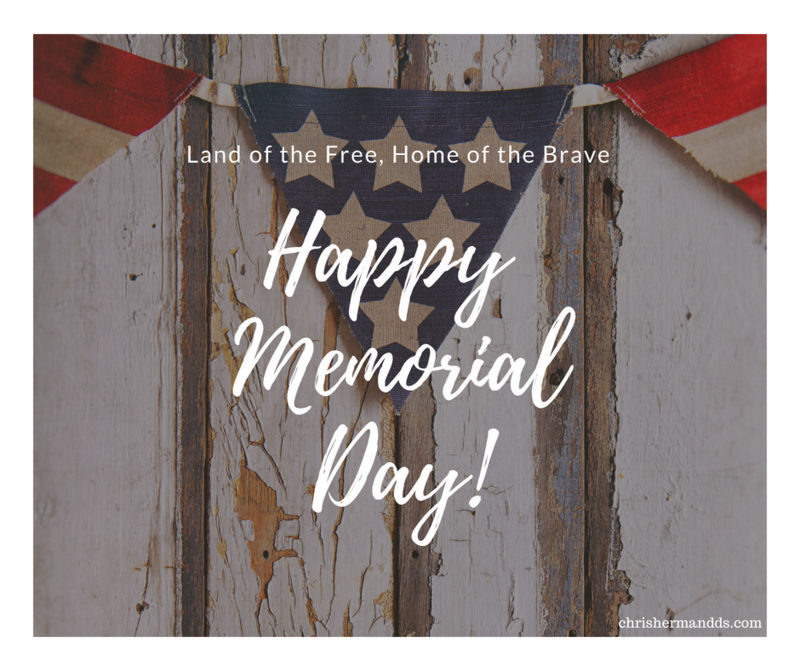 *If you are experiencing pain, you should contact Dr. Herman’s office to make an appointment.